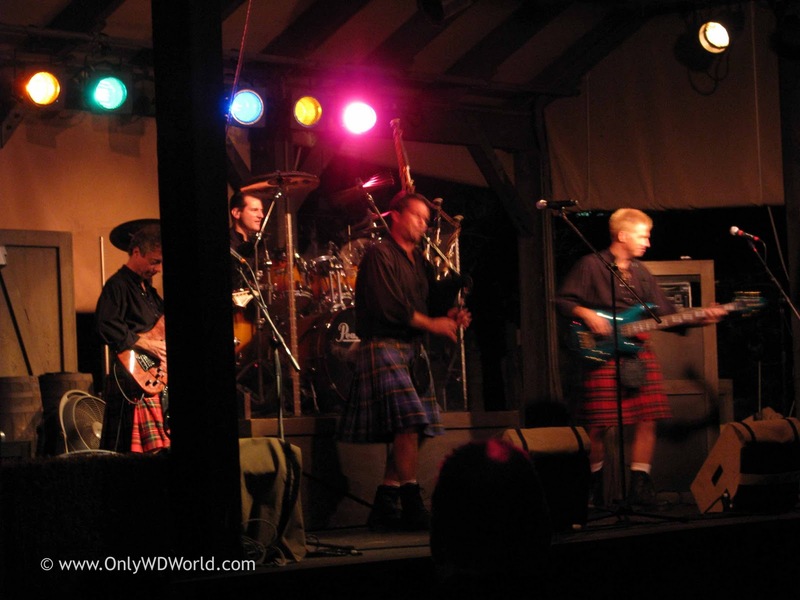 Off Kilter is the star of the Epcot Live Entertainment line-up. 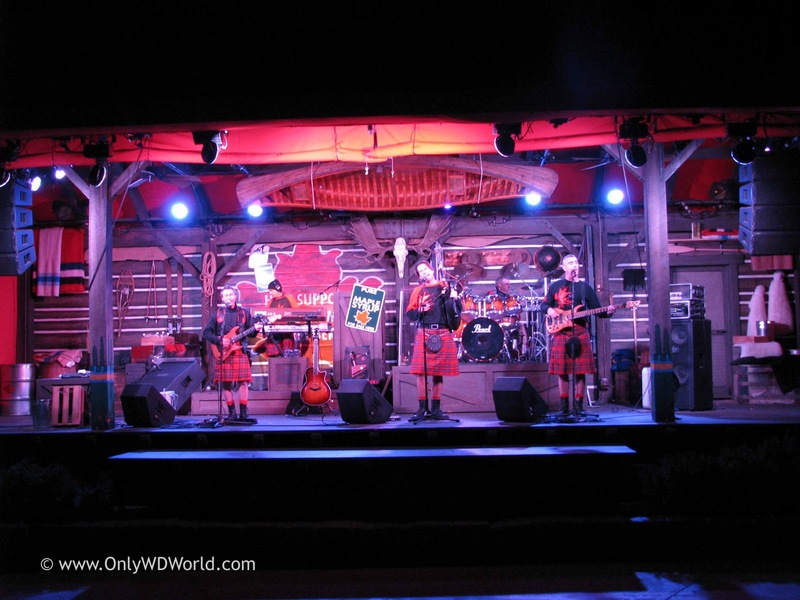 This irreverent kilt wearing band is a fan favorite playing in the Canada Pavilion at Epcot. Recently they received a major upgrade to their stage. Off Kilter plays their own unique version of Celtic Rock with front man Jamie Holton playing the bagpipes when he is not singing. 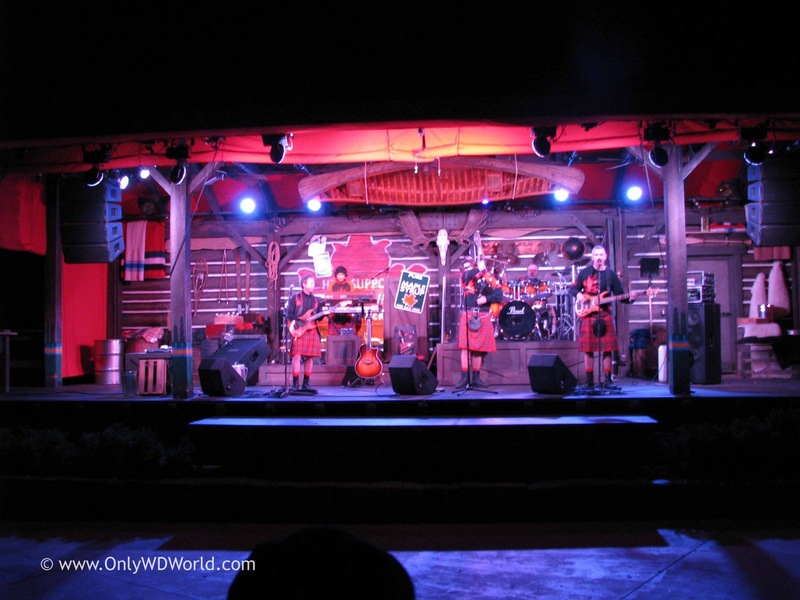 Although they play in Epcot's Canada Pavilion, oddly enough none of the 5 member bands hails from the land up north. There is an international flavor to the band though as one member is from Ireland, another from Puerto Rico, and the rest are from the United States. 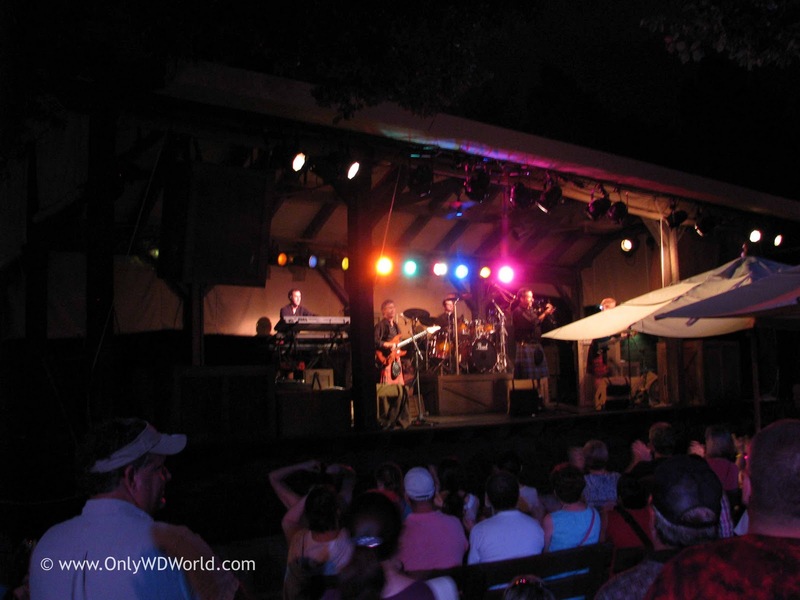 The new performance stage for Off Kilter now exudes Canada. There are signs of Canada everywhere and it looks great. There is a sign touting "Pure Maple Syrup for Sale Here." There is a wood canoe hanging from the rafters. There is also a large Moose skull complete with antlers hanging dead center in the rear of the stage. You can see snow shoes, skis, blankets, and other authentic Canadian props covering the stage. This stage is much more befitting an act playing in the Canada Pavilion. The outfits for Off Kilter have also changed slightly to embrace Canada with several of the band members sporting shirts with the Canadian Maple Leaf adorning their shirts. The best part is that on top of the new look you still get the great Off Kilter music and banter. They are great musicians and even better entertainers. 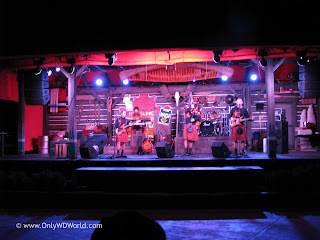 Their show is a must see for all Epcot guests. ■Jamie Holton - "Founder", Singer and Bagpipe player extraordinaire. ■Mark Weldon - "Co-Founder", Lead Singer, and Bass player. 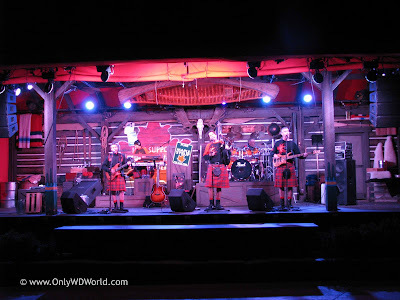 0 comments to "Off Kilter Rocks New Stage In Epcot"